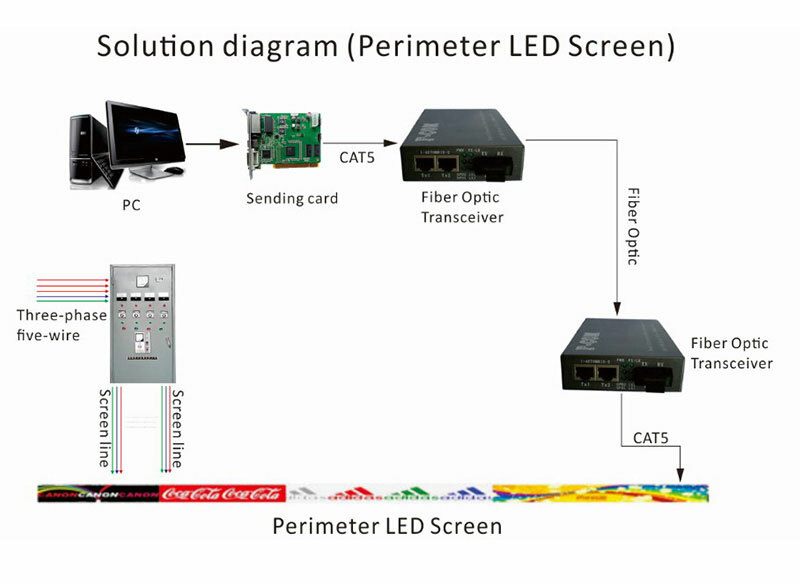 Stadium Perimeter LED Display also called sport perimeter advertising LED scren. 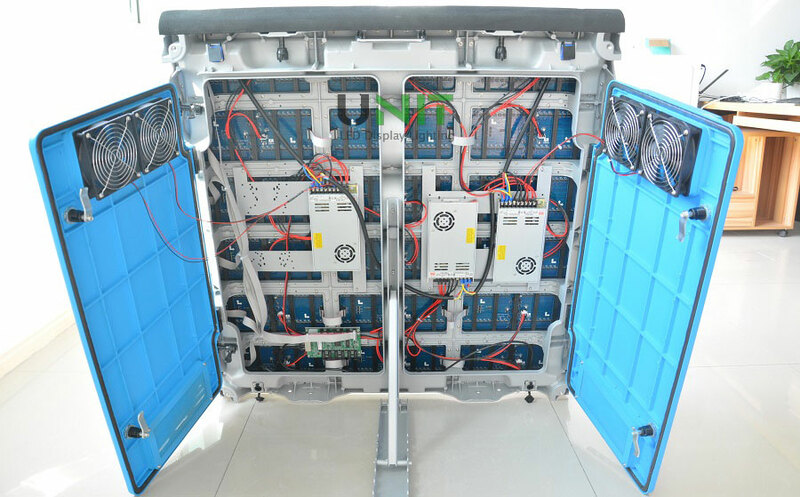 the main feature is those LED displays used for stadium, sports center such as for Football, basketball, badminton, volleyball, swimming, rugby, ice hockey, and so on. Usually Perimeter LED Display is installed on the ground and slightly tipped towards the back with 5 – 45 degree angle. Stadium LED displays are short wide in height and long in width like a banner with one cabinet connected to cabinet one by one in horizontal. Because of super wide viewing angle, more than 150 degrees. stadium LED screen can engage viewers and charm the audience with many advertisements showing on the LED display at once. Stadium Perimeter LED Display are widely used in indoor and outdoor stadiums, requiring high brightness, wide viewing angle, high security, long life, easy installation, windproof, waterproof and other functions, and can play advertisements and live real-time playback video in any segment. Our Sport Stadium Perimeter LED Display are not only beautiful but also easy to install and very convenient to dissasemble. There are many features as following. Soft module mask: To protect players from being hurt, the sport perimeter LED displays adapt soft and flexible materials made mask for the LED display modules to prevent injuries when players or other objects hitting on the LED displays. It is very safe not only for players but also for LED displays. 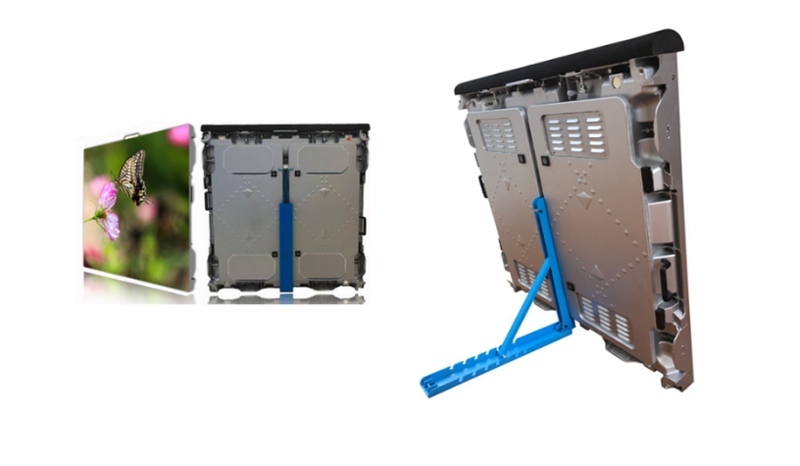 Adjustable back brackets: the sport perimeter LED displays equipped with adjustable back brackets which can make the LED displays can be adjusted a few degree angel which not only increase the viewing angle but also keep the LED display balance when hitting. Soft Pillow: Sport perimeter LED displays use soft pillow on the top of the cabinets. Soft pillow provides the same functionality as the soft module masks. Those special materials are used to protect LED displays and players from being wronged in all kind of games and projectiles. Perfect height: Sport Perimeter LED Displays are designed with suitable height. Usually the height can be between 960mm and 1280mm. Waterproof Cabinets: To be able to adapt to various stadium environment like rain, snow, water and dust. Sport Perimeter LED Display Cabinets are waterproof, dust proof and sealing. the waterproof level is IP65. 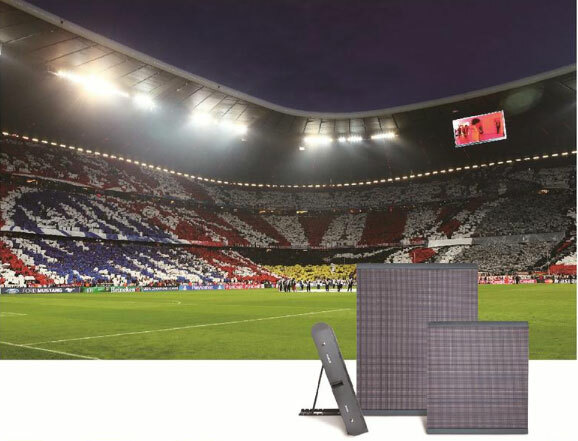 Pixels: Sport perimeter LED displays can be designed with a pixel pitch of 5mm (3in1 40000 dots/m2), 6.67mm (3in1 22477 dots/m2), 8mm (3in1 15625 dots/m2),10mm (3in1 10000 dots/m2), 12mm (RGB 6944 dots/m2), 16mm (RGB 3906 dots/m2). 20mm (2500 dots/m2). Adjustable Viewing Angle. According the viewers viewing angle. sport perimeter LED displays are convenient to changed on angle which can up to 45 degree with the benefit of adjustable back brackets. 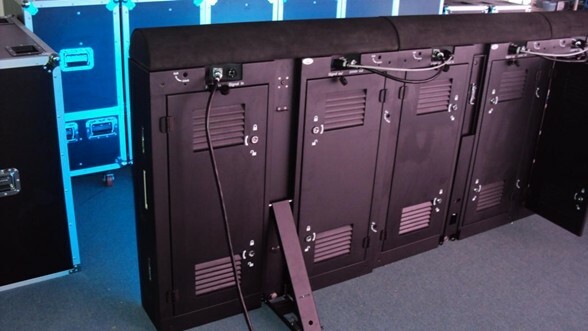 Portable and Easy to Installation: The weight of sport perimeter LED displays are suitable for transport, the back brackets can be pulled down for transportation easily and can be pulled up for Installation to support the LED display on the ground with a few angle. Fresh Rate: High refresh frequency of sport LED display to insure the images videos are stable without any loss of signal and brightness. Dual computer control system: sport LED display use dual computer control system to ensure LED displays work well without no interruption when one computer is turned off because of unknown issues and the other computer can automatically control sport LED display in good condition on working. The following video is about UNIT latest product Stadium LED display, More information please check here.